You are a talented and passion driven individual who values working in a fast-growing environment, delivering high quality client-oriented services and collaborating with your peers. You are a motivated, detailed oriented, have technical skills and energetic person who works well in a fast-paced, dynamic small-team environment. You learn quickly and are passionate about helping others. You desire to be part of a fast-growing company and contribute to the mission of building the tool of choice of ambitious companies that everyday strive to enhance their daily recruitment operations. You are oriented to grow and so are we: our customer base in the past 6 months have been growing significantly and are poised to even more growing by the end of 2019. 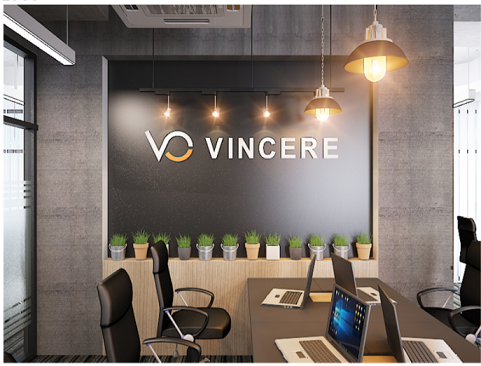 Vincere.io is a SaaS cloud recruitment tool empowering the executive search and staffing agencies to recruit the best talent in 50+ countries spread across 5 continents. We have been voted as the no.1 front runner technology in the category of ATS software in 2018 which is conducted by Gartner thru Software Advice. This is a flattering testament from our loyal customers around the globe! At Vincere we are passionate about what we do. As you are equally driven we are so we are looking forward to meet you to join us on this journey of rapid expansion. Build visual interfaces, shared visualization components, and custom visualizations for communicating data. Collaborate with Data Designers to iterate on the design and implementation of data visualization products. Work with Database Administrators to build features. Champion the relationship between Data Science, Design, and Product teams. Guide principles for data visualization for all interfaces and tools. Participate in the creation and support of BI development standards and best practices. Participate in the on-going development of the business intelligence and data warehousing functions within the wider organization. Explore and recommend emerging technologies and techniques to support/enhance BI landscape components. A passion for data visualization and a keen design sense. You have a portfolio of work you’re excited to share but probably never completely satisfied with. Solid UI and UX skills, with experience building web and/or mobile interfaces for displaying interactive visual insights. Knowledge of query languages and data warehouse SQL, Clickhouse. Please apply CV in English! Competitive salary & pay raise twice per year, 13th month salary, public holiday bonus. Full package of insurances regulated by the Labor Code. Professional working environment and free tea, coffee for you to enjoy. Time working: 08:30 AM - 05:30 PM from Monday to Friday.